May the Fourth be with you…. Yes, I know that title makes me a complete Geek but I don’t mind. I am considered by many people I know to be a bit geeky anyway, I love twitter, my laptop is like my third arm and get a little excited by itechnology, the Chuck TV Series, cameras and Star Wars!! 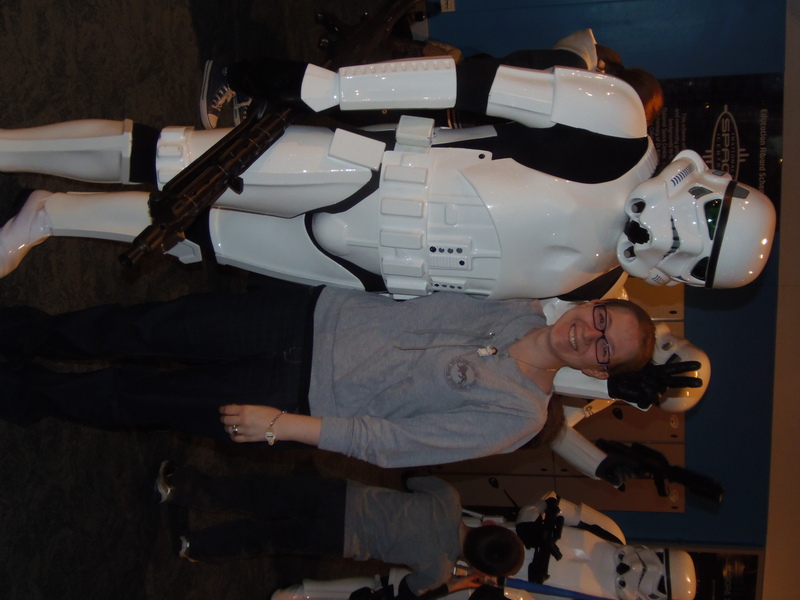 So, how did we spend our bank holiday, we went to the National Space Centre in Leicester for Star Wars day of course! Oh my word, how excited were we, we didn’t tell the kids where we were going, or what we were doing but did tell Legs he may want to wear his Anakin Skywalker outfit, the Mouse on the other hand picked her Pink Fairy tutu – well you can’t argue with that!! We arrived nice and early and waited for the other half of our party to arrive! The queue got pretty massive, pretty quick – we were so glad we pre-booked, it makes you feel like something special walking past the queue! 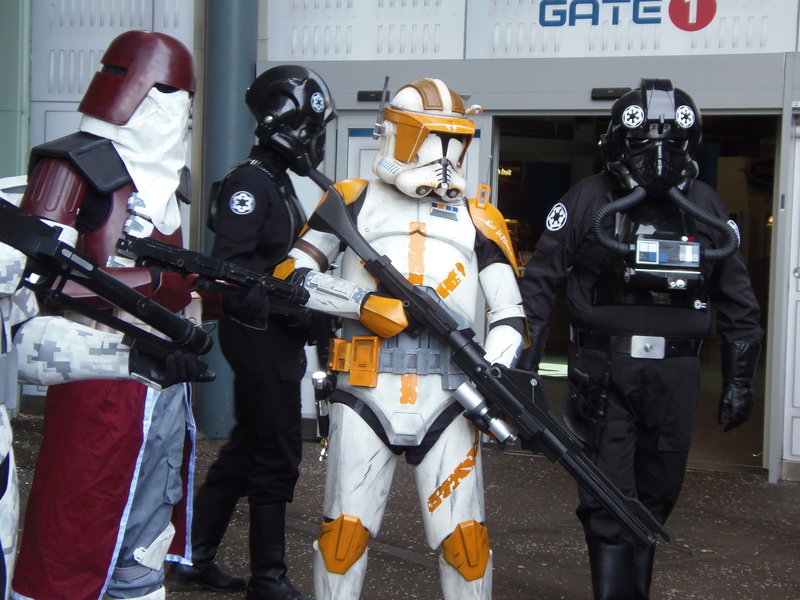 So after a chat with a Clone Trooper we got in and the fun really started! I have never seen the eyes of my hubby and brother in law light up this equally at exactly the same time, but I guess thats what Princess Leia and a load of troopers do! You enter the building and straight away you are met with sights from space, and the extra special part of this day were you were also met by various characters from Star Wars. There was a real buzz about the day and the fact it was for charity too made it even better! 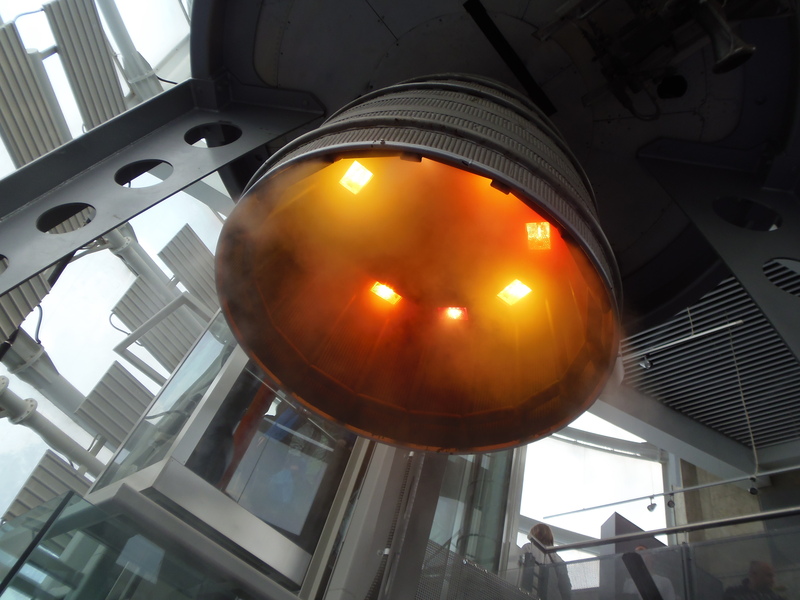 We had an awesome day, the kids absolutely loved it, ‘Legs’ and his Cousin ‘Samwidge’ were in their element, they loved the characters, the 360˚ Cinema, seeing the rockets and more. The excitement just built throughout the day! Even the ‘Mouse’ had a whale of a time, whilst the rest of them went to the cinema showing, me and the mouse had a wander about, well she wouldn’t of been able to sit still that long (ok, real reason is, it would of made me really sick – I am a bit rubbish! ), I let her go and followed her around as she took me to the Lunar Jim play room (for under 5s), to the moon and to re-visit the Star Wars sights! It was a great family day out, and we will definitely go back! What an awesome day I met Darth Vader, saw R2-D2 (Kenny Baker) and even got to meet an Oompa Loompa (Rusty Goofe) – my day was complete!! This is not a sponsored post, we just had such a great time I wanted to share!